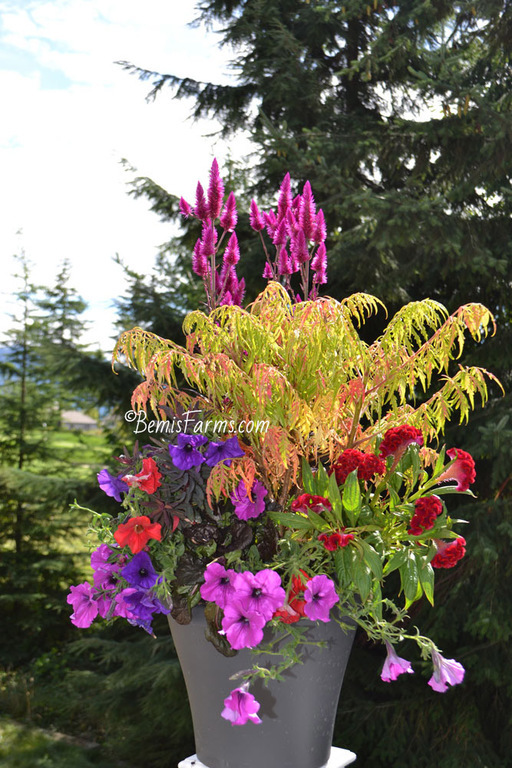 Those who have taken our spring workshops know that artistic containers need "chillers" or really "cool" foliage plants to act as a focal point, and give the eye a chance to pause between flowers. But did you know you can use a shrub for this effect? You will use one of our favorites: Tiger Eye Sumac, a chartreuse landscape plant that brings out the best in everything around it. This plant even turns multi-shades of autumn hues in October before shedding its leaves for the season. When that happens, you pot is ready to be transplanted in the garden where your Tiger Eyes can complement your permanent plants.